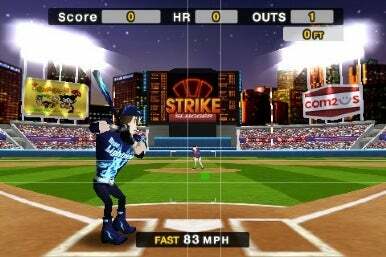 Com2uS has announced the release of Baseball Slugger: Home Run Race 3D for the iPhone and iPod touch. It’s available for purchase from the App Store for $3 (a special introductory price, normally $5). Play alone or against your friends in this home run derby-style game for the iPhone and iPod touch. Players can go head to head with others over Wi-Fi, EDGE and 3G networks, or can play solo in Arcade, Training and Classic modes. You can customize character appearance and improve clothing and gear as your team progresses through the home run competition and earns points. The game lets you access your iPod library, and it’s compatible with iPhone OS 30, according to the developer.